Coming in hot, the Wizards were cooled off on Monday night as the Detroit Pistons picked up a 121-112 win over Washington. With two straight, solid wins against the Chicago Bulls and Cleveland Cavaliers, the Wizards entered a Monday night matchup with the Detroit Pistons looking to replicate the recent success. However, Detroit had different plans. 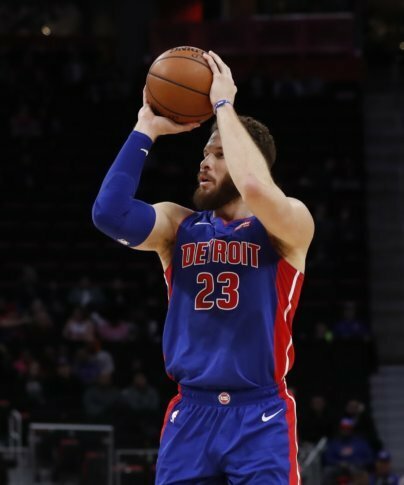 Behind a double-double from Andre Drummond (32 pts, 17 rebs) and a near triple-double from Blake Griffin (31 pts, 9 rebs, 9 ast), the Pistons were able to earn their 26th win of the season. The Wizards were once again led by All-Star Bradley Beal, who scored 32 points in the contest. However, Washington also received a large contribution from veteran Trevor Ariza, as the forward scored 23 in the loss. Bobby Portis also continued to produce in just his third game as a Wizard, putting up 24 points off the bench. One thing you should know about the game: The Pistons had an advantage down-low and made use of it all night. Griffin and Drummond are a hard duo to defend, and the two dominated the glass and went to work in the paint. As a result, Detroit came away with the advantage in rebounds (48-37), points in the paint (56-40) and the win. What’s Next: The Wizards will head to Toronto to take on one of the best teams in the East in the Raptors on Wednesday at 7:30 p.m. It can be seen on NBC Sports Washington Plus and the MyTeams app.